I’ve been running this thing in the handful of Bolt Action games that I’ve played, and its often been a solid performer. Cheep, fast, and with a kickin’ auto-cannon, and now finally painted! 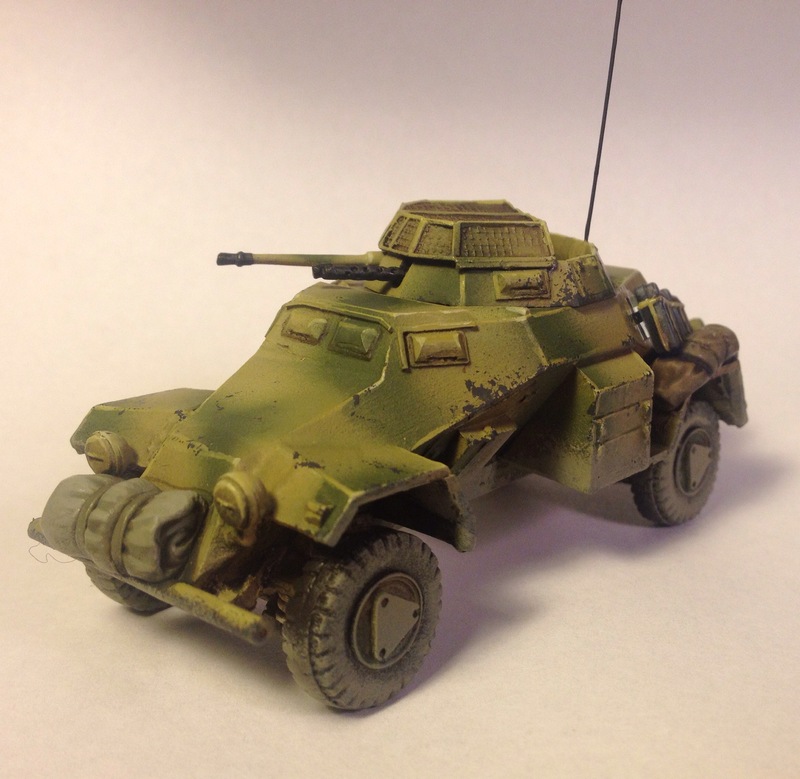 This armored car has taken the field half painted for over a year now, so its great to get it done. This is done just in time for the ‘Operation Sting’ tournament happening this weekend. 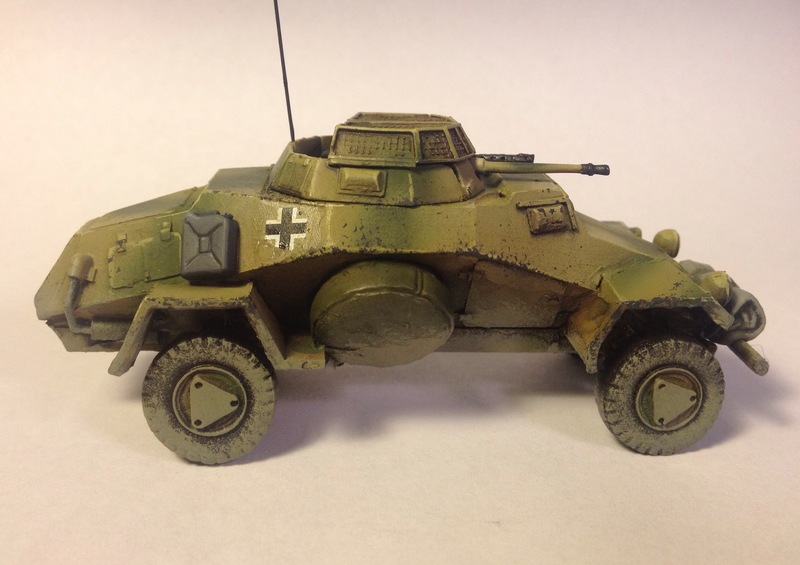 I need to wrap up some basing, paint a mortar, and finish a Stuh-42 model. Its going to be tight! Previous Previous post: New Tutorial: Insect Legs!